Leave a comment on THIS post by 6 p.m. CT Tuesday, April 28, 2015 to be entered in the DRAWING for a copy of the book below. If you mention in your comment that you’re a follower (see in the left sidebar “Join This Site” and “Follow by Email”), I'll add your name a second time in the drawing. U.S. mailing address required to receive a paper book. Read book giveaway details at Disclaimers. To provide you security, please leave your email address like this: johnATyahooDOTcom. Winner announced in next Thursday's blog post. including Against the Tide, the winner of a RITA Award, Christy Award, and Daphne du Maurier Award. She lives with her husband in Florida and is a research librarian by day while scribbling away on her next novel by night. 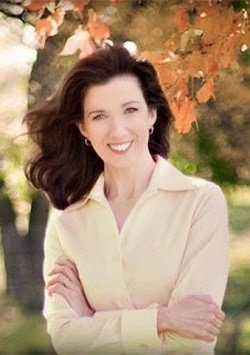 Visit her website at www.elizabethcamden.com. librarian at the illustrious Library of Congress until she stumbles across the baffling mystery of a ship disappeared at sea. Thwarted in her attempts to uncover information, her determination outweighs her shyness and she turns to a dashing congressman for help. Luke Callahan was one of the nation’s most powerful congressmen before his promising career was shadowed in scandal. Eager to share in a new cause and intrigued by the winsome librarian, he joins forces with Anna to solve the mystery of the lost ship. From the gilded halls of the Capitol to the scholarly archives of the nation’s finest library, Anna and Luke are soon embroiled in secrets much bigger and more perilous than they ever imagined. Is bringing the truth to light worth risking all they’ve ever dreamed for their futures? This historical romance is set in Washington, D.C. in the late 1800s. The story is about Anna O’Brien and Luke Callahan, opposites in all aspects. Anna is content to hide away in the Library of Congress and fulfill her duties in the map room while Luke is the arrogant politician. But quiet Anna and flamboyant Luke find an attraction to one another long before admitting it to each other. Families, secrets, and the general political atmosphere of their city make for a bumpy ride for them as a couple—hurdles they must meet head on and overcome if they are to have a life together. Great characterizations and setting descriptions. Elizabeth Camden spins a yarn that holds the reader through the last page. The winner of last Thursday’s blog post for a copy of Natalie’s Choices by Linda Robinson is Connie. I’ll email you. Thanks all for commenting. Watch for more book giveaways. Elizabeth Camden is a new-to-me author. BEYOND ALL DREAMS is a book I would really enjoy. I have joined this site and follow by email. Caryl, glad you found a new author here. Thanks for leaving your comment. I love that the heroine is a librarian; the setting is the Library of Congress and there is a mystery involved. Thank you for this interview and giveaway. Connie, you're welcome. I'm glad you follow my blog! And thanks for leaving your comment. I always thought being a librarian would be a dream job for a book lover like me! Patty, in junior high I planned to become a librarian but didn't. Thanks for following my blog and leaving your comment! Sounds like a great book. I don't remember ever reading a book like this. I have heard of Elizabeth Camden before but I don't think I've ever rend one of her books before. I follow your blog and newsletter. Pamela, thanks for following my blog! Glad you found a new book here. I've enjoyed all of Elizabeth Camden's books. Thanks for commenting. I volunteer in the church library and have for 36 years. We use the Library of Congress to help catalog our books. I cannot wait to read this book. Janet, that will be an added element that will make you enjoy this book. Thanks for leaving your comment. The Library of Congress sounds like a very interesting setting for the book. Sounds mysterious too. rubynreba, Elizabeth Camden writes beautifully accurate historical novels. Thanks for commenting. I love following your blog> This books sounds really good. Diana, thank you. Glad you enjoy my blog! Thanks for commenting. Sheila, so glad you follow my blog! Thanks for leaving your comment. Amada, I appreciate your following my blog! Thanks for leaving your comment. Beyond All Dreams sounds like a lovely story! Thank you so much for the chance to win, Jo. Britney, you're welcome. Thanks for following my blog! Glad you left your comment. I know a few librarians. I'm sure they would all like to uncover an adventure like this. Melissa, thanks for reading and leaving your comment. The Library of Congress is one of my favorite places in DC - I can't wait to read this book! Michelle, glad you stopped by and left your comment. I'm a reader, so of course I love libraries!! "Beyond all Dreams" is a book I've been wanting since I've seen it on different blogs. Sounds like a great book! It would be fascinating to uncover the mystery of a disappeared ship at sea & also to see a romance brewing (I love that!). Thank you for the chance to win a copy! Sonja, glad you came by and left your comment. I follow by e-mail; thanks for the extra chance to win. I've read several of Elizabeth's books and greatly enjoyed them. I haven't yet been able to read Beyond All Dreams but I sure want to. I've never read a book set in the Library of Congress; what unique setting. Pam, you're welcome. Thanks for commenting and following my blog! This sounds like a wonderful book! I am such a book need and a book about a librarian is awesome! I have absolutely loved following your blog since I joined it several months ago and always look forward to the books that you feature in your emails as well! Oops...that should have said book nerd, not book need. Spell check is highly overrated! Charissa, I appreciate your following my blog and glad you enjoy it! Thanks for leaving your comment. I love Camden's books, and this is the only one I haven't read. Thanks for the opportunity to read a copy! Gwendolyn, you're welcome. Thanks for leaving your commnet. I love Elizabeth's books; have read some and hope to read ALL of them! Thanks for your giveaway. I follow via E mail. Jackie, you're welcome. I appreciate your following my blog and leaving your comment. Maxie, you're welcome. Thanks for following my blog and for leaving your comment! Would love to win this book. Include me, please! Cheryl, you're included. Thanks for leaving your comment. 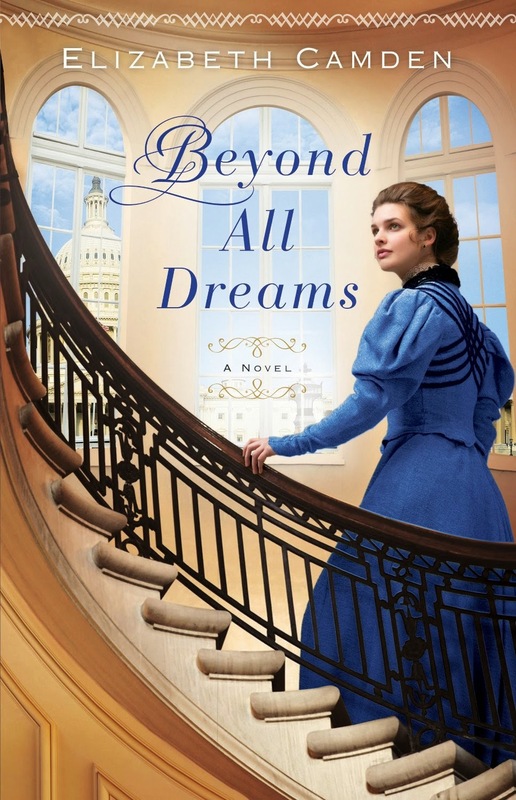 Beyond All Dreams sounds like an amazing book. The cover is just beautiful! Thank you for the opportunity, Miss Jo, and you know I am definitely a follower!!! Melanie, you're welcome. I appreciate you following my blog! Thanks for leaving your comment.